Saturday, former Auburn University football coach Tommy Tuberville announced that he will be a candidate for U.S. Senate as a Republican to challenge incumbent Sen. Doug Jones. Alabama state Auditor Jim Zeigler, a Republican, commented on the announcement by Tuberville. Zeigler is a graduate of the University of Alabama. Zeigler has formed an exploratory committee assessing the possibility of his own run next year for the Senate seat held by Doug Jones. He has until November to make a decision. “By Sunday night, I had the new strategy down,” Zeigler said. “In the state of Alabama, college fan bases are huge and loyal. They would tend to support one of their own, especially if the campaign appealed to the base. So here is the strategy. Coach Tuberville and State Sen Del Marsh would split the majority of the Auburn vote,” Zeigler said. Marsh is an Auburn graduate and supporter and his wife Ginger was an Auburn cheerleader. “Bradley Byrne would get close to 100% of the Duke vote,” Zeigler added. Byrne, who has announced his candidacy for Senate, is a Duke graduate. “Heather Whitestone would get the majority of the Jacksonville State University vote,” Zeigler continued. Whitestone, a JSU graduate, is a former Miss Alabama and the only deaf Miss America. She says she is also considering the U.S. Senate race. 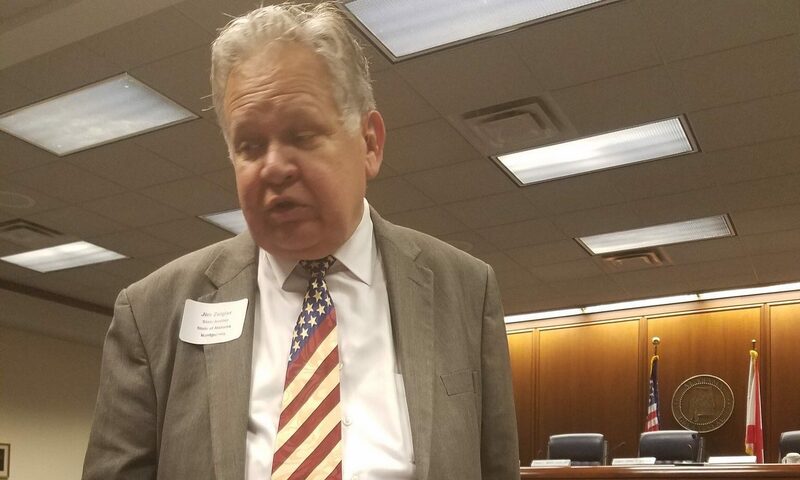 “I could get the majority of the University of Alabama vote,” Zeigler added. Zeigler also served as president of the Student Government Association and sat on the University Athletic Committee beside legendary coach Paul “Bear” Bryant. He played briefly in the Million Dollar Band and remains active in the alumni band to this day. “If the Republican primary vote tends to break toward college allegiance, I am in good shape,” Zeigler joked. Zeigler said he was surprised that Tuberville chose the day of the Auburn Final Four basketball game to make his announcement. “Auburn fans were totally focused on the Auburn game and paying no attention to politics,” he said. Zeigler also said he believes the wrong Auburn candidate announced. Former Gov. Robert Bentley has also expressed interest in running for Senate, as have Congressmen Gary Palmer, R-Hoover, and Mo Brooks, R-Huntsville, former Alabama Supreme Court Justice Roy Moore and former Yellowhammer News publisher Cliff Simms. The winner of the March 3rd Republican primary will likely face incumbent Jones in the November 2020 general election. Jones narrowly defeated Judge Moore in the 2017 special election.